March the 28th is the sixth birthday of this blog – hooray and happy birthday to us! For today’s post I thought I would take a look back at some of the products I have reviewed and why they stick in memory for me. I’ll make one exception, the SOCS16 Rucker-class Merchant by GK Games; I love the book and what the guys at GKG did with my original design, but I thought that was a bit too much self-promotion in including it in the list. Before I take a look at the past product reviews, a quick mention of some of the latest Cepheus Engine / 2D6 SFRPG releases. From Zozer Games, we have ‘Solo’, a (as the name suggests) gaming aid for Cepheus Engine rules. This looks really interesting; I’ve got my own solo gaming rules for Classic Traveller, which are basically the trading rules married with some house encounter rules. Paul Elliot at Zozer has sent over a copy for me to review, so I’m looking forward to reviewing this very soon. 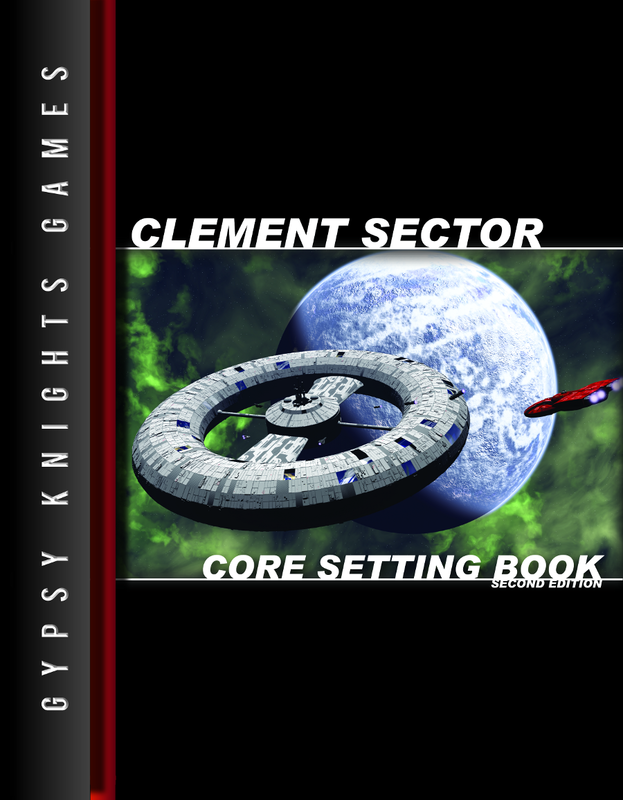 From Gypsy Knights Games, the steady expansion of their Clement Sector continues; the two latest releases are ‘Hub Federation Navy Second Edition’ and ‘Wendys Guide to the Fleets of the Cascadia Subsector’. Again, I’ll be delving into reviews of these as soon as I can. Finally we have the lastest issue of Freelance Traveller magazine. Always a great source of material and articles, an excellent resource for a free download! I thought it was worth taking a step back after six years of reviews and have another look at all the products I’ve reviewed. I’m not going to list them in any number order, as they are all excellent products for various reasons, so I’m going to just list them with equal ranking. GKG’s main SFRPG setting and what all their products are based around now. I originally reviewed this back in 2013. The core rulebook has gone through a couple of revisions; originally starting out as an ATU for Mongoose Traveller 1st Edition, dodged the bullet by avoiding going to Mongoose Traveller 2nd Edition at the last minute and now is set firmly in the Cepheus Engine compatible camp. I find myself more and more leaning towards CS as my go-to background for SFRPG-ing. The background has grown into a very well developed whole system that has explored not just adventuring in general, but the politics, terrestrial non-humans (‘uplifts’), tons of spacecraft, adventure ideas and campaigns and finally the worlds of Clement Sector. Best of all, the products are very reasonably priced so you can pick fron the range and build up your collection at a steady pace. I highly recommend you take a look at the GKG CS product line, its a rich and developing ‘universe’ that is worth spending time in. 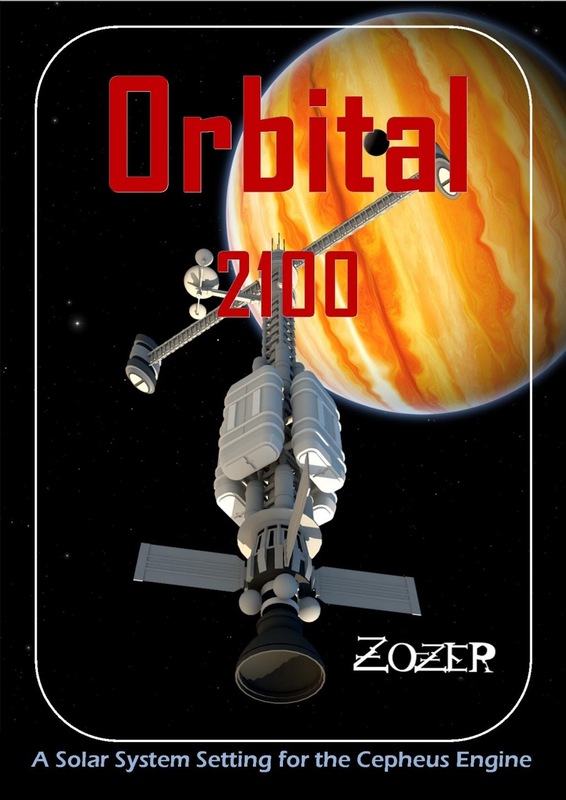 I’ve got a soft spot for Orbital (as it was when I reviewed it), having now been updated to Orbital 2100 and Cepheus Engine-compatible. I like the near-future background, approximately 100 years from now (Clement Sector is set in the 24th Century). There are no jump drives, its all very realistic and accurate technology that is either available now, or is on the drawing board now. In particular I like the spacecraft – I’ve got a rendering of one of the products (‘Horizon DRV’) in development, so I can produce mash-up’s of Shuttle engines with ISS-inspired modules and futuristic landing craft. The product line isn’t anywhere near as comprehensive as the Clement Sector, but with TV shows such as ‘The Expanse’, you can get a lot of inspiration and a ready-to-use background with Orbital if a near-future background is your preferred scenario! 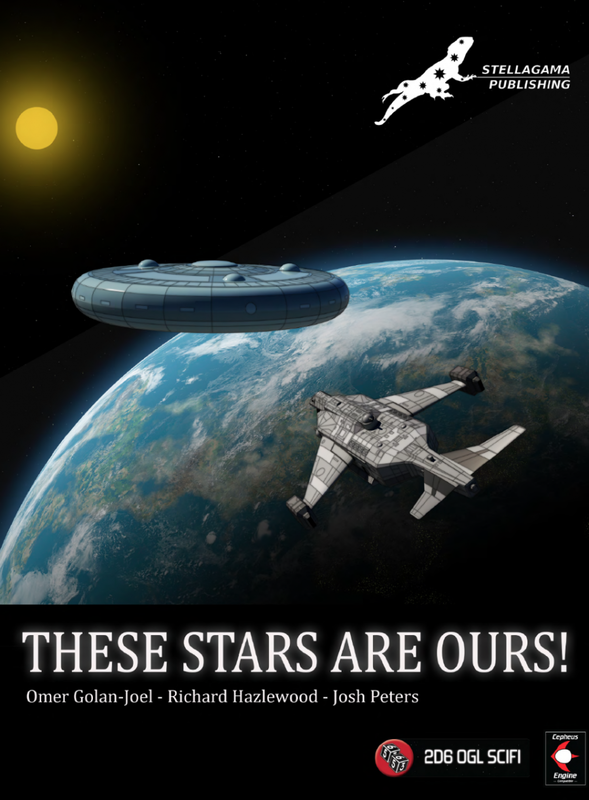 Stellagama Publishing – These Stars Are Ours! I only reviewed this earlier in the month, so I won’t go over the product in too much detail again. But – a couple of things that still stick in my mind after leaving the review to stew – its an up-and-coming background that is showing a huge amount of promise, with furure products on the horizon. The alien backgrounds are very well developed (I do like the Ciceks – badass lizards!) and with extra material, this should be a fun ATU to game in. A supplement that has stuck in my mind after reviewing it last year; I love the background material, the spacecraft and the characters. Who wouldn’t like to be a pirate on the run from the law? A really well balanced book that also explores the morality of being a pirate and what happens if the law catches up with you…! 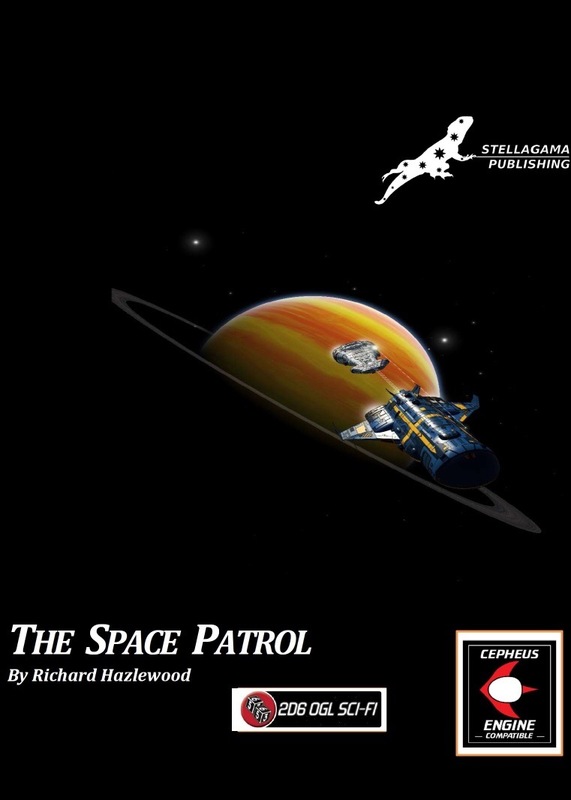 To round off the list, I’ve gone for ‘The Space Patrol’; again another very well written and thoroughly detailed supplement about the galaxy’s lawmakers, which I reviewed at the end of last year. Interesting and useful, a quick flick through the book reminded me how much I liked this book when I originally reviewed it. Conclusions from taking a look back? Its great to see so many high-quality books and publications coming out, especially after the ‘break’ from Mongoose Traveller and moving to the Cepheus Engine rules as a basis for ATU’s. What I do like about the third-party market is that there is a wealth of gaming material out there, much of it very high quality and some ways, the break from Mongoose 2nd edition has done the some SFRPG publishers a favour. The reins are free and imaginations are running wild – long may it continue! This entry was posted in Cepheus Engine, Classic Traveller, Mongoose Traveller, OGL, Uncategorized and tagged Clement Sector, Horizon, Orbital, Orbital 2100, Piracy, Skull and Crossbones, space patrol, These Stars Are Ours. Bookmark the permalink. Dude, you and I gotta be brothers! This list is identical to the top items in my iPad. 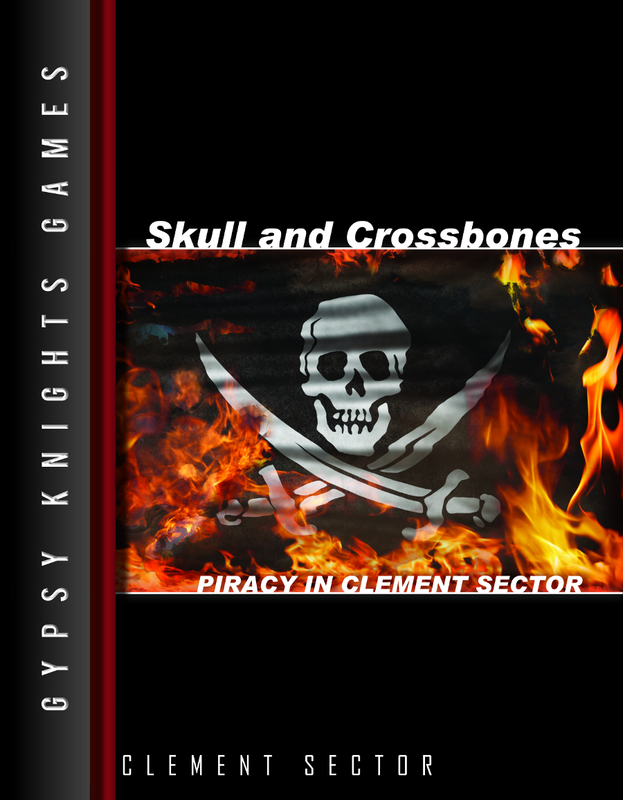 At first I was a bit worried at the carnage from MgT2E but Jason Kemp and Gypsy Knights Games and Zozer’s and Stellagama have convinced me that CE is the true heir to Traveller. There is more than enough adventure here to keep gaming for a long time!